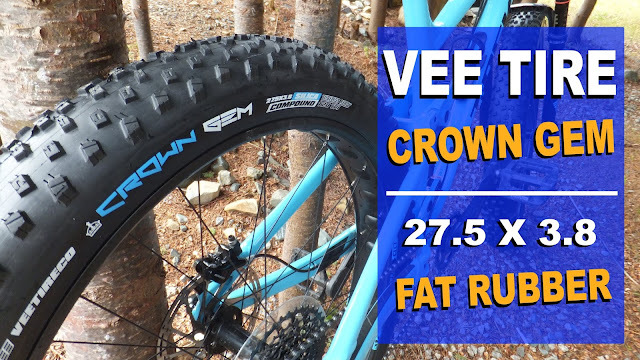 Now that all the snow is gone and tire pressures have increased, Stafast has sent along their upgraded consumer version for an extended review on Fatbike Republic. Opening the cool looking box you will find the stem, stem cap, small wrench, shock pump and several pages of instructions. 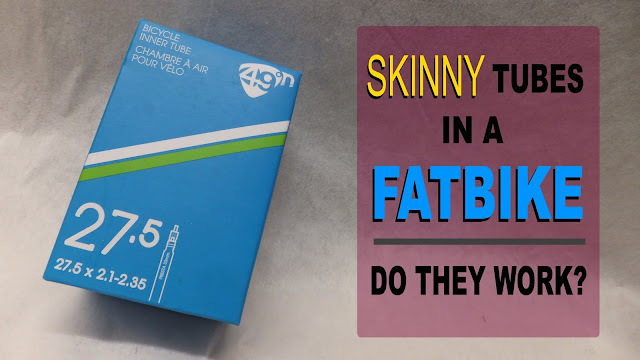 The one sent for review is their 95mm which is for fatbikes & mountain bikes. The 105mm is aimed more at roadies. Folks may be familiar with similar attempts at suspension stems in the past, however these designs used springs and elastomers to give relief at the bars. 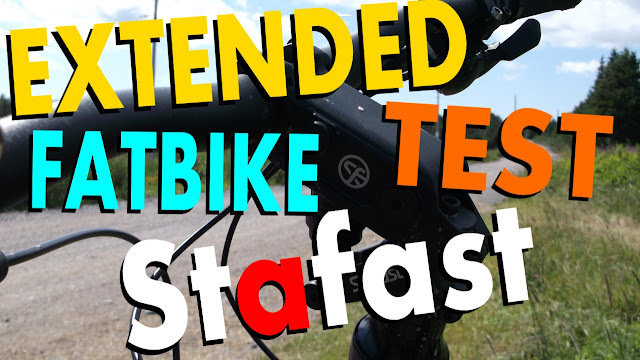 The StaFast suspension stem uses stainless steel and aluminum construction coupled with tight tolerances and an air shock to dampen vibrations in the front end. of your bike. The two visual differences between the beta and the consumer version is the addition of graphics and most significantly the redesign of the air adjustment procedures. The stem is adjustable in height from 0-25 degrees and it arrives fully extended. To lower, rotate the cylinder counter clockwise (when looking from the top) using the supplied wrench. The marks on the shock will show the height. I initially set it at 20 degrees. 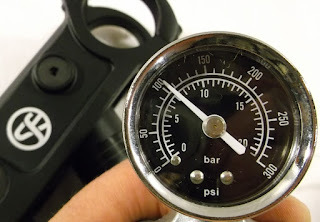 Adjusting the air pressure is now much easier! The unit does not have to be taken apart, just remove the air valve cap (no tools) and attach the pump. You can adjust the pressure from 0-275 lbs depending on your riding style, terrain and preference. I initially set it to 80 lbs. It installs in the same manner as any traditional stem. Nothing complicated, however you do have to use the supplied Stafast stem cap to cinch it down. 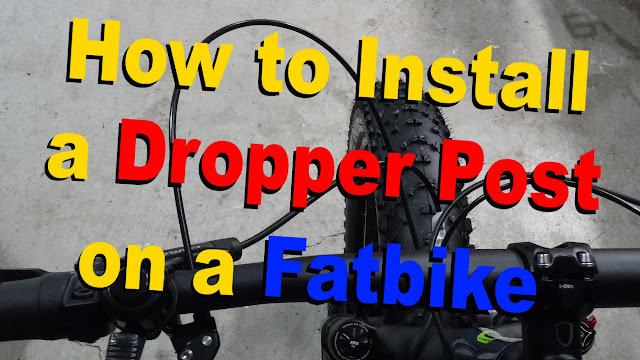 Its well known that adjustments to fatbike tire pressures can have a significant impact on traction and handling. During this test I ran my tires at 10-12 lbs and made several adjustments to the stem air pressure to get to the proper balance. I put almost 250 km on my Bigfoot with the suspension stem covering woods trails, technical single track, rock crawling and even a 100km gravel grind. Do to its single pivot design the bars rotate forward slightly when the shock engages. This seems a little odd at first but you quickly get used to it. Watch the video to see how it actually worked in real life. Once again the Stafast suspension stem delivers on what promised, and for fatbikes it really shines during the non-snowy season. It soaked up large to medium sized bumps and hollows with ease. Just due to the nature of fatbike tires smaller bumps tend to be absorbed by the tires, however when these minor disturbances became more significant the stem did what it needed to do. Stem engagement was not speed dependent. 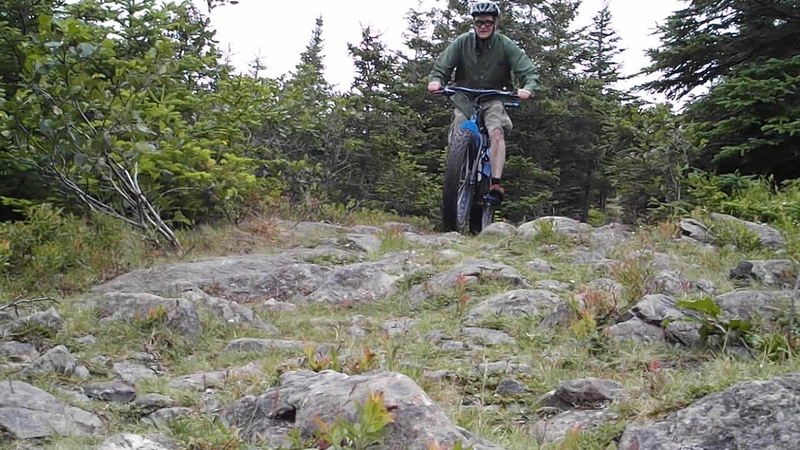 It worked equally well prowling through the woods, blasting down trails or on long gravel grinds. With almost 32mm of travel in the shock it will not be a replacement for "high travel" fat forks such as the Bluto and RST Renegade. 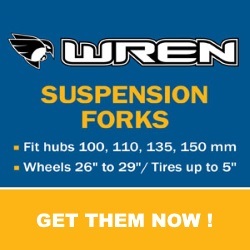 However, at 380g it is significantly lighter than the forks that weigh in around 1700+g. In addition, the StaFast is significantly cheaper at $350, will not "freeze up" during cold weather riding and is easily swapable between bikes. The Lauf Carbonara , while significantly lighter than a suspension fork at 1100g and closer in travel at 60mm, is the most expensive option at just under $1000. 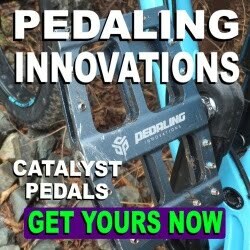 Although not tested for this particular purpose, I see this stem as being a benefit to expedition fatbikers such as Slow:Biker and those into bikepacking. I have noticed some people saying that the shock loses air. This is not true. The air volume in the shock is so small that when the pump is screwed on, air is dumped from the shock into the pump hose. Thus making it appear like the shock has lost air when it actually hasn't. If you are interested in a little squish in the front of your fatbike and not interested in the extra money and weight that comes with a fork, take a look at the Stafast suspension stem. 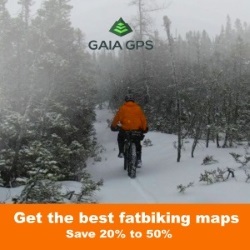 Not only will it be lighter on the pocket book and lighter in the front, it will not give you any trouble during the winter, can quickly mount up to your other fat or non-fat bikes and is easily tailored for your riding conditions and personal preference. I lke your reviews. Keep on ! Ditto, great review, thorough and no BS. Keep them coming! I'd be interested in the options combining Stafast and a Lauf Carbonara: is it worthwhile / possible to adjust them, i.e. the Stafast, so that both together cover a greater range of forces & frequencies?